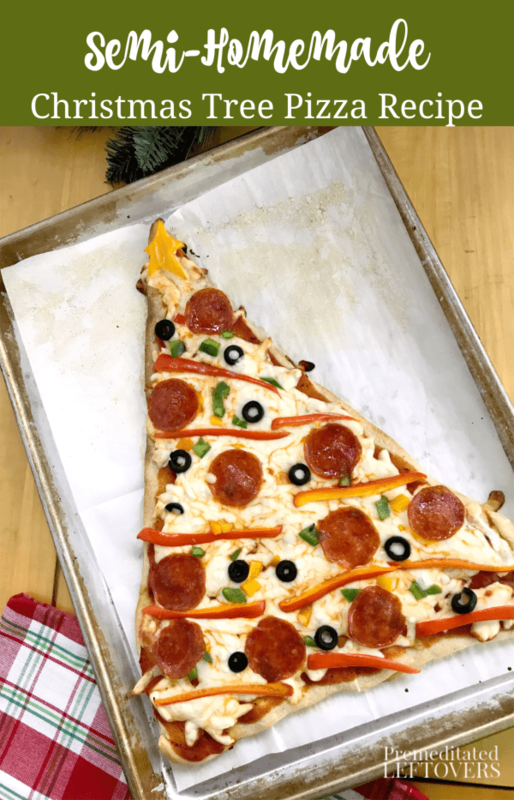 Make a busy night during the holiday season festive and less stressful with this Semi-Homemade Christmas Tree Pizza Recipe that will delight the whole family! 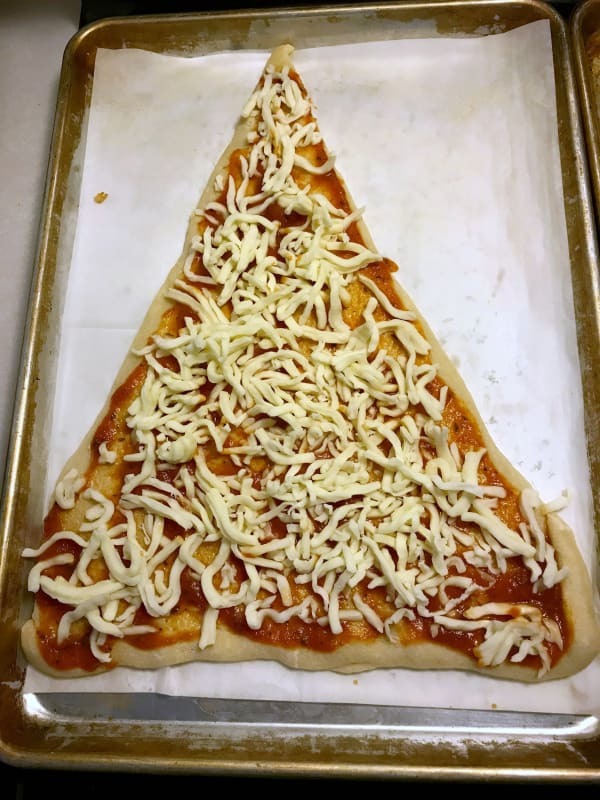 Pizza is a great dinner once in a while (even semi-homemade) and you can even make it cute and festive with little fuss, check out this Christmas Tree Pizza Recipe. 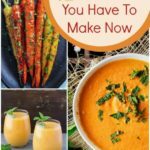 December is hectic and crazy for most of us, don't make it harder on yourself by treating to create complicated fancy meals all the time. 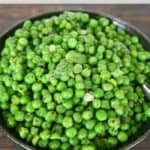 Other desired toppings like sliced black olives, pepperoni, diced green bell pepper, etc. 2. Roll out pizza dough on a lightly floured surface or pastry mat. Using a knife or pizza cutter, cut into a large triangle. 3. 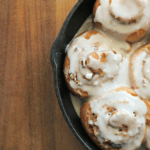 Place shaped dough on parchment-lined baking sheet. Bake for about 5 minutes. 5. 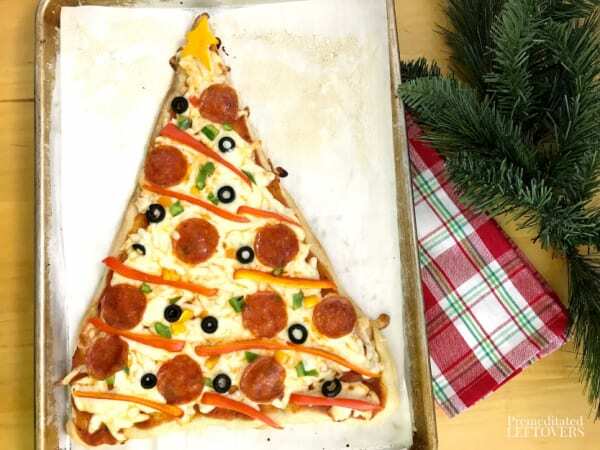 To decorate the Christmas tree: Arrange red pepper strips like garland across the pizza. Put the star-shaped pepper at the top of the tree. Add other desired toppings. Preheat oven to 400 degrees. Prepare a large baking sheet with parchment paper. Roll out pizza dough on a lightly floured surface or pastry mat. Using a knife or pizza cutter, cut into a large triangle. Place shaped dough on parchment-lined baking sheet. Bake for about 5 minutes. Remove pizza dough from oven and add sauce and mozzarella cheese. 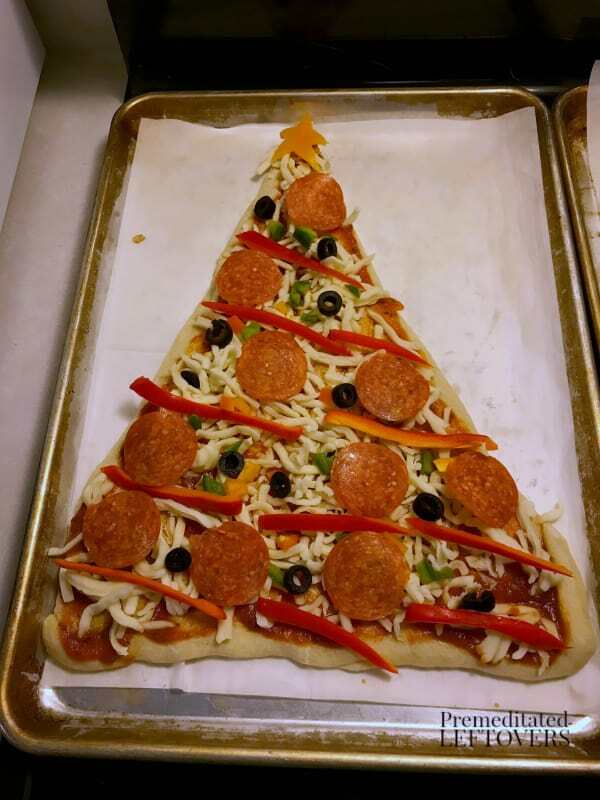 To decorate the Christmas tree: Arrange red pepper strips like garland across the pizza. Put the star-shaped pepper at the top of the tree. Add other desired toppings. Return to oven and bake an additional 5 to 8 minutes, depending on the thickness of your dough and desired doneness.